Arizona State Flag Decal. Sticker 3 1/4 x 5. Arkansas State Flag Decal. Sticker 3 1/4 x 5. California State Flag Decal. Sticker 3 1/4 x 5. Colorado State Flag Decal. Sticker 3 1/4 x 5. Connecticut State Flag Decal. Sticker 3 1/4 x 5. Delaware State Flag Decal. Sticker 3 1/4 x 5. Florida State Flag Decal. Sticker 3 1/4 x 5. Georgia State Flag Decal. Sticker 3 1/4 x 5. Hawaii State Flag Decal. Sticker 3 1/4 x 5. Idaho State Flag Decal. Sticker 3 1/4 x 5. Illinois State Flag Decal. Sticker 3 1/4 x 5. Indiana State Flag Decal. Sticker 3 1/4 x 5. Iowa State Flag Decal. Sticker 3 1/4 x 5. Kansas State Flag Decal. Sticker 3 1/4 x 5. Kentucky State Flag Decal. Sticker 3 1/4 x 5. 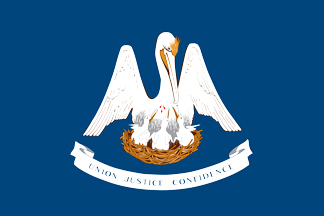 Louisiana State Flag Decal. Sticker 3 1/4 x 5. Maine State Flag Decal. Sticker 3 1/4 x 5. Maryland State Flag Decal. Sticker 3 1/4 x 5.